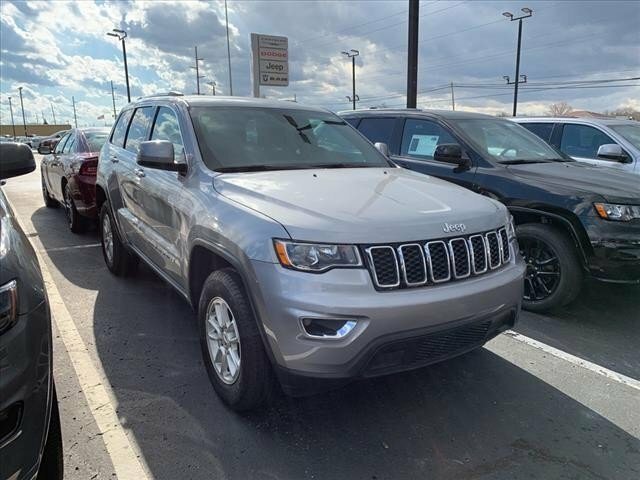 If you're looking for a smooth ride, look no further than this 2018 Jeep Grand Cherokee LAREDO with a backup sensor, push button start, backup camera, parking assistance, Bluetooth, braking assist, dual climate control, hill start assist, stability control, and traction control. It has a 6 Cylinder engine. This one's on the market for $36,190. Stay safe with this SUV 4X4's 4 out of 5 star crash test rating. The exterior is a classic silver. Call or visit to talk with one of our vehicle specialists today! Contact Information: Erwin Chrysler Dodge Jeep, 2775 S Co Rd. 25a, Troy, OH, 45373, Phone: (937) 335-5696, E-mail: pat@erwinchrysler.com.